I’ve always been hesitant on tackling an article with so much conversation, prevalence, even argument, but grading and its usage holds so much weight in the climbing world. For some climbers, the grade is the determining factor of what their goals are for that day and for others, it is out of sight, out of mind. This article will be presented in two parts. The first section, this article, will go over the history of grading, the importance of grading, and how a grade is determined. Part two will focus more on what’s going on in the climbing world and how grading is involved, such as downgrading, first ascents, other controversies. There is a ridiculous amount of history with grading, so be aware I am giving you only a spoonful. The classification of the difficulty of a route, or the grade, begins its history in the late 1800s with the Benesch Scale, developed by Fritz Benesch. 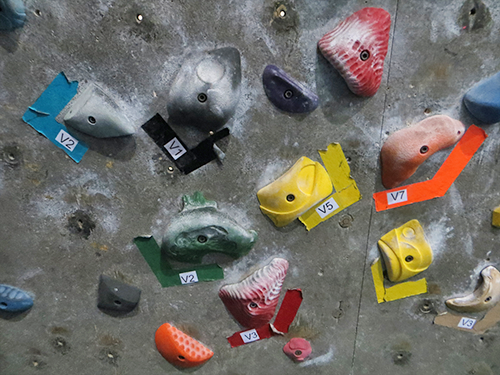 As climbing progressed, and grades became harder, scales were changed and new rating numbers developed. The Welzenbach scale, which originated in Germany in 1923, changed to the Benesch scale and would be used in the Western Alps in 1932 and Chamonix with the Union Internationale des Associations d'Alpinisme by 1947. In 1968 the scale became so prevalent internationally that the grading system was renamed to what we know it as today: the UIAA scale. Meanwhile, in the United States, the Yosemite Decimal System was also growing legs. Originally called the Sierra Club grading system in the 1930s, it was used to grade hikes and climbs in the Sierra Nevada using classes to describe the terrain and difficulty of the hike. Climbers would use the most advanced and dangerous class, Class 5, with a decimal notation to break down the difficulty. Today, this is where we see the grading system used in most guidebooks and gyms, described difficulty in notations such as “5.12”. There are many different grading systems used in other countries that a climber might have to learn if they are using their guidebooks, such as the Ewbank system, the Brazilian grade system, the British grading system, and others. As for bouldering, the Europeans held firm and found that the rating system worked for rope and boulder problems. 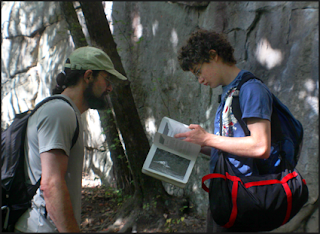 However, American climber John “The Vermin” Sherman (who has honored me with quotes in past articles, yay! ), created the V-Grade. In the 1980’s, Hueco Tanks was a field day of unclimbed rock and many flocked to claim their territory and at the time the only grading used was the bouldering system, or B-system. Sherman, in his book, Sherman Exposed: Slightly Censored Climbing Stories, described the “closed ended B-system”. “B1 equaled hard, B2 equaled stinkin’ desperate, and B3 equaled unrepeated.” V grades were pretty much created to clear up B2s, but here’s a fun fact. Sherman’s original V1 was actually today’s V6, and this occurred to accommodate the “fit novice”. There is SO much that goes into the history of the V-Scale that we most commonly use today, and I highly recommend to read up on it, but to sum up, thank you Mr. Sherman for thinking of us and not only the ripped rock munchers of the past! How does one determine a grade? The most common phrase that you are going to hear regarding grades is that they are subjective. Whenever the limits are pushed beyond what is currently considered the hardest climbing in the world, the climbing community is expecting an explanation on why this is now the hardest grade in the world. Soon after Change, Ondra more famously ticked the first ascent of La Dura Dura in Spain, also considered to be 9b+. After his send, he said this to Climbing Magazine: “The route was harder for me than Change, but that one fits my style better. There are very specific moves that require a lot of flexibility, which was perfect for me [on Change]. In general, I think both of them are equally difficult to repeat, and both of them deserve the grade of 9b+.” In many cases, the decisions about grading have not been accepted by the community so easily, which we will talk about in part two. Let’s talk a little bit more practical. There’s a pretty good chance that if you are reading this, you’re not thinking about how hard 9b is. But maybe you’re wondering about the grades at your local crag. What about Horse Pens 40 and LRC? What about Hueco Tanks and Bishop? Who decided that Bumboy should have been V3? Now, the problems that you have seen in your guidebook today are probably different from what they were originally graded. In fact, I have the topo from the 2008 Horse Pens 40 Sloperfest and the most current published guidebook from Greener Grass Publishing and many routes have been downgraded. But what did they start with? Who made these decisions? Basically, going back to John Sherman and Hueco Tanks, somebody had to. “Being the ego-bloated radsters we were, we hadn’t bothered rating any problems below original V1,” (our V6, in case you skipped that part). “For that matter, nobody had. It was up to me to climb or reclimb the 900+ problems in the guide to assign them ratings. This left to the definition of a problem's V-grade being how hard John Sherman says it is. 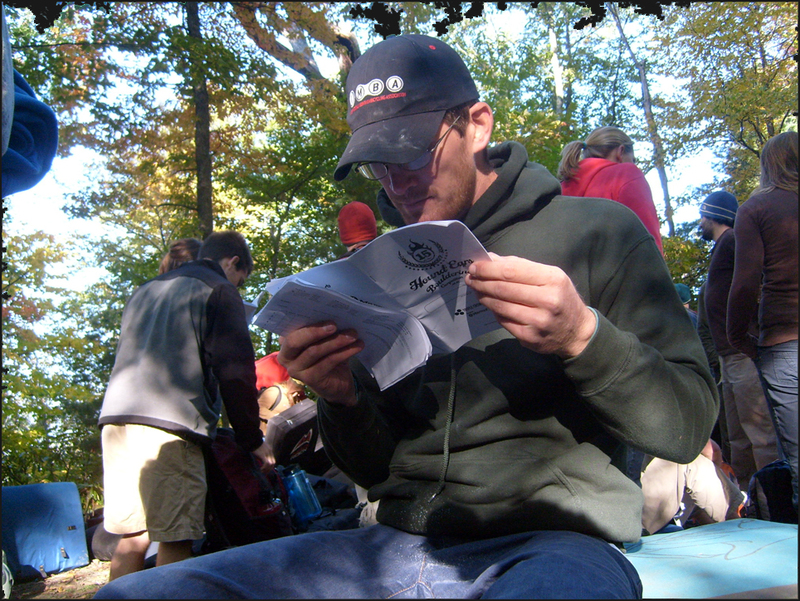 You might imagine it quite handy to have your own rating system, but it comes with a heavy responsibility.” As a climber, I would have to respect the standard, or in some cases, John Sherman’s standard, and then go from there. John Sherman is only one particular story about the development of grading in areas. Adam Henry and company would go about the Southeast, Smoke Blanchard would discover Bishop, or even Fritz Wiessner in the 'Gunks: worldwide, there were always people before us that set the example. In today's world, we work on "perfecting the grade", which usually results in part 2's subject, downgrading. How is important is a grade? Remember how they say “age ain’t nothing but a number”? Well, a grade is simply a number. How important it is only matters to you. At Aiguille Rock Climber Center, we typically rate our bouldering routes a week after they are set to give everyone an opportunity to climb without the pressure of a number. When the time comes for the acknowledgment of a grade, problem by problem, you can hear the “Yes!” and the groans either expressing their excitement for the grade after their recent ascent, or the defeat of sending a route and realizing it was determined to not be as hard as they thought. When I talked to Aiguille’s Head Routesetter, Mark Mercer, he shared his opinion from his occupational point of view. “[Grades] aren’t very important to me as a setter. I grade because the customers want them. When I grade, it’s somewhat by consensus, after asking others whose opinion’s I trust and arguing about them for a while.” Essentially, Mark is our own Sherman; we trust his opinions (most of the time) when it comes to grades. However, can you imagine a gym without grades? For those who don’t care about the numbers, grades are simply a guideline. One says to themselves, “Okay, I’ve climbed this route. If someone determined its around this grade, then I might be able to do that.” Note how just like Ondra grades by comparison to what he has climbed, we choose what to climb by comparison to what we have climbed. Being concerned about climbing a particular grade can decrease your productivity because of pressure and added frustration. Grades are also going to deter you from climbing some of the best routes and boulder problems if you put too much weight in them. On the other hand, the grade can also represent an incredible sense of accomplishment. The infamous climber plateau strikes us all at one point or another. We train, we climb, we do what it takes to get past it in order to move to the next level. Typically, that level is a grade. As climbers, at some time in our climbing history, we have sent our first V3, and our first V4, and so on and so forth; these sends truly impact our lives. Now can you remember how good it felt to touch real rock and work your project and after many long hours, finishing it?It’s a bit of a disappointing fact that if you were looking to be come a famous climber, you probably need to be putting up first ascents or repeating classics in the double digits. But hey, if that’s your goal, do it up! If you’re cool with 5.10, rock on! It’s climbing, it’s fun, and whatever grade gets you psyched is the perfect grade. So what’s my opinion? Well, grades fascinate me. They motivate me, but they don’t dictate my climbing. I base what the guidebook says to what I’m going to put on my tick list, but I’m cool to try out some harder stuff as well. I get super psyched about sending the next V5 or 5.12 but I get the thrill of accomplishment about sending anything, or even just sticking a move. Adam Henry, in the recently published Horse Pens guidebook says in the article "The Southern Way", the following, and it sums it up pretty well for me (and is one of the reasons why I love Southeastern climbing). Stay tuned for Part Two in next month's Climbing Ethics!